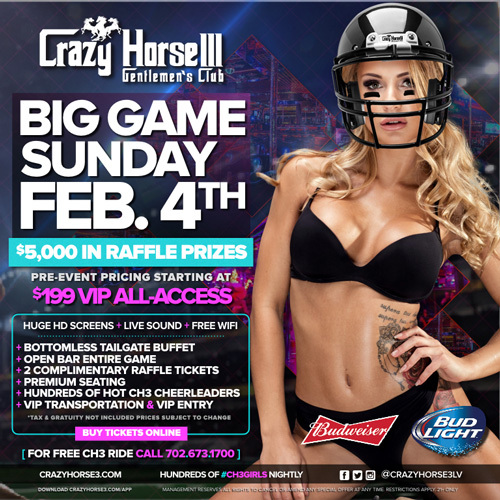 If you’re looking for somewhere to watch the Super Bowl this weekend, definitely put Crazy Horse 3 on your list. Not only do you get to party with the ever amazing CH3 girls, but they are showing the game on 15 HD screens with full audio. Crazy Horse is also raffling off $5,000 worth of prizes. If you prebook the package you also get free VIP limo pickup and front of line admission. And last but not least you get OPEN BAR during the game and a free bottomless BUFFET. All this for only $199 per person. Book now as they will sell out! Looking to hit a club and mix football fun with frisky females? We have the low down on which parties are hopping. Don’t like to read? For bottle service call for quote! OGs usually throws good events and Super Sunday is no exception. Their deal is slightly more affordable. 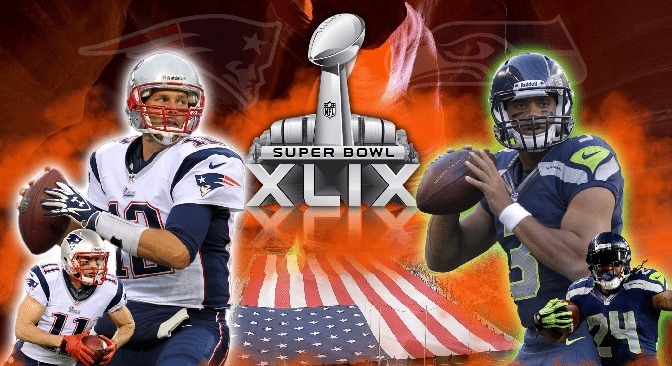 Hustler is giving you a chance to win $1,000,000 on Superbowl Sunday. There’s no details on their site but if we had to guess, it’s usually some long shot prop bet that pays off. Like if the receiving team takes the opening kickoff or second half opening kickoff for a touchdown they pull your ticket from the raffle box and you win. We’re waiting to get more details on this one and will update here as soon as they come in. Book now and receive a FREE lap dance! Call for details. We are fully licensed with the state of Nevada, so you can be sure you will get the service you deserve. All employees must pass Nevada Sheriff's Dept background check and have fingerprints on file. We hire only the best service professionals for all our positions.